Using music and sounds to communicate with other people online has become a widespread phenomenon that was widely popularized by online gaming. Many gamers choose to play sounds using their microphone’s input to communicate with other players or, in most cases, simply to annoy them. Be that as it may, there are other scenarios where transmitting music via your mic could prove to be very useful. Its uses range from simple gamer communication to showing tunes to people all over the world using software like Skype. Possibilities are endless with modern technology… But you must know how to properly set it up. 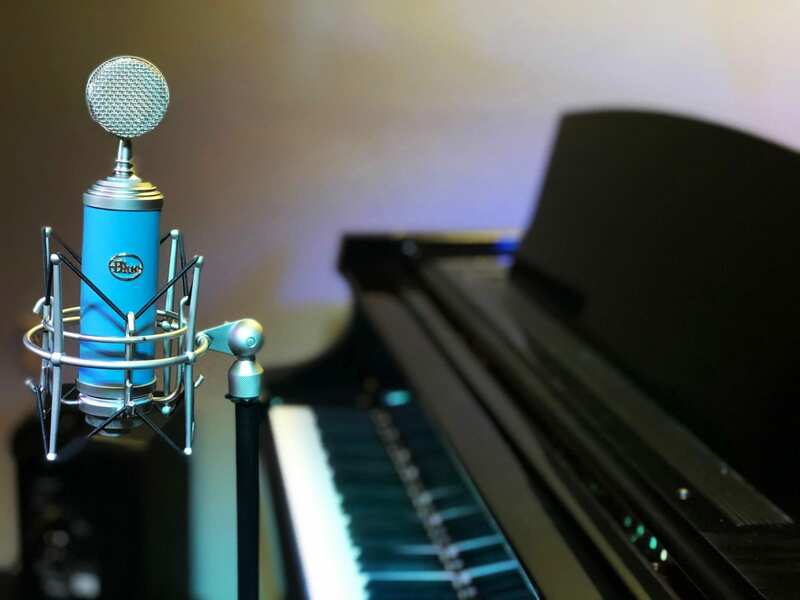 We’ll walk you through the easiest and most effective methods that you can use to play music through your mic. There are many ways to do it, though most of them are based on using various types of software. Some are more unorthodox… But we’ll talk about that later. You can get Voicemeeter from their official website, as the software is completely free (and legal!). On the other hand, if you don’t know what a soundboard is, it’s basically just a piece of software capable of reproducing and triggering sounds within your computer. You can look for some of these types of software in any search engine and download the one you like the most. It doesn’t matter which one. 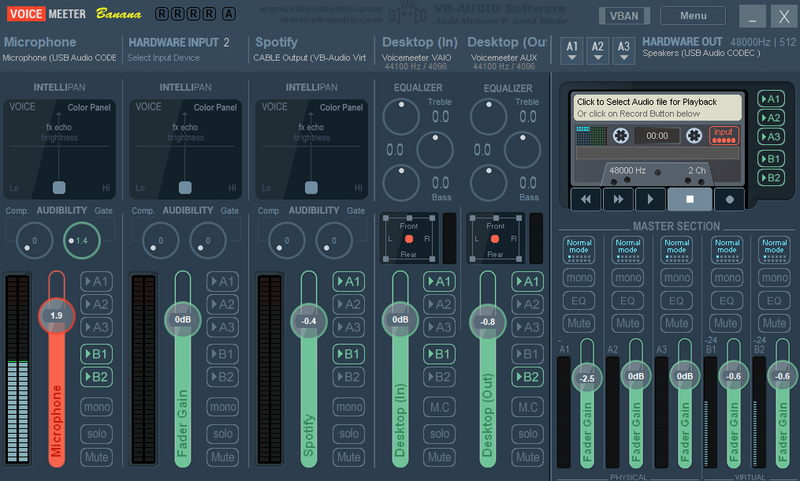 The soundboard works as a sort of connection between your audio file and Voicemeeter – it’s important that you download it if you want the method to work effectively. You’ll have to set Voicemeeter to work as a source of audio input and output within your computer. Look at it like this: microphones need to be connected using a cable, right? Well, what Voicemeeter does is that it acts as an audio tool inside your computer. It allows the reproduction of sounds by creating an audio output and input inside your machine. Then, you’ll have to open your soundboard. There, you’ll have to configure the Voicemeeter input as the soundboard’s output. This is what’ll let you reproduce and control sounds remotely, using only your keyboard. Set the audio input inside Voicemeeter as your microphone, and the output should be your speakers. Execute the program where you’d like to reproduce music through your mic. If it’s a videogame, open it up. If it’s a chat application, do so as well. Then, enter the configuration of said application and make sure that Voicemeeter is set up as the preferred audio input for the program. This will allow you to reproduce sounds or music through your mic. You can use any audio file that you have in your computer, and both Voicemeeter and the soundboard of your choosing will allow you to select them without having to tab in and out multiple times. With this method, you’ll be able to transmit sounds as well as hearing them yourself, while also reproducing them inside your computer. It’s the most complete way to do it! This method is like the first one, but in this case, you might not be able to hear the audio yourself – it’ll only be heard by whoever receives it. You can find many types of virtual audio cables online. If you haven’t used one of these before, what is basically does is serve as an audio cable, but the connections are entirely virtual. This means that you’ll configure the output and the input within your computer, and your own PC will see it as if it was physically connected to both ports. It works similarly to applications such as Daemon Tools, which create a virtual CD unit that allows you to execute .iso files without having an actual CD or DVD. You’ll also need to download a soundboard for this method to work. This will allow you to easily configure the sounds transmitted through your virtual microphone. These steps will make the virtual cable your main source of audio transmission. Basically, you’ll be telling your computer to recognize the software as an actual microphone. Doing this will allow you to send audio from your PC to anyone’s devices. Repeat this process in the playback tab as well, and make sure everything’s properly configured. Then, set the virtual cable as your computer’s default audio output. Keep in mind that you won’t be able to directly speak into it. It should go without saying, but we’re reminding you just in case. This is, of course, in case you don’t have a microphone of your own. 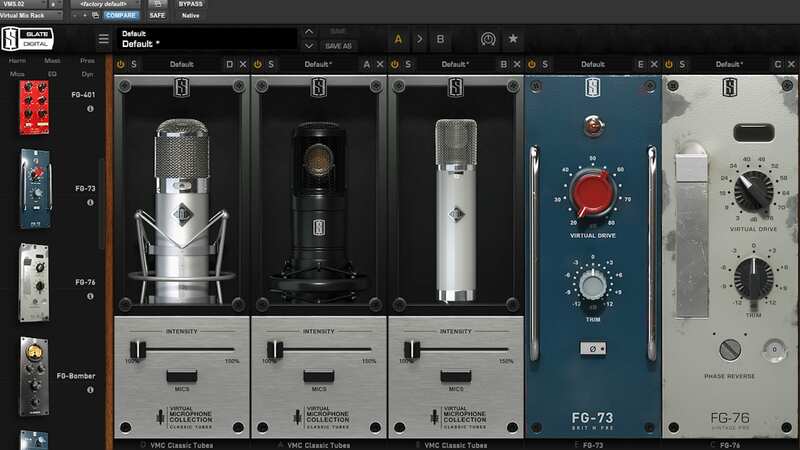 This will connect the virtual microphone into your soundboard, which will allow you to control the sounds or music you want to play with ease. If you have a microphone, you’ll be able to play music and other people will be able to hear your voice at the same time. This method is very effective, but you need to set up everything properly if you want it to work as intended. Alright, we’ve arrived at the last and least orthodox step. This is the easiest way to play music through your mic, but it offers poor audio quality to the receiver. It’s also very easy to set up. If you use a headset, be sure to keep it close to the table. Or, at least, close to your speakers. If you have a microphone that you can set up near your speakers, even better; place it on your table near them if that’s the case. Portable audio devices, such as iPods, work well with this method. You might need to use a converter if you want a direct connection. You’ll have to place the microphone close to the speakers. Make sure the microphone can capture the audio correctly. Anyone with whom you’re speaking to will be able to hear whatever you say. Keep in mind that the audio quality is likely to be poor – even if your microphone is well manufactured. This is method offers the least quality, but it saves you the trouble of setting software up to make everything work as you want it to. The methods that we’ve shown you today work people who don’t have mics. 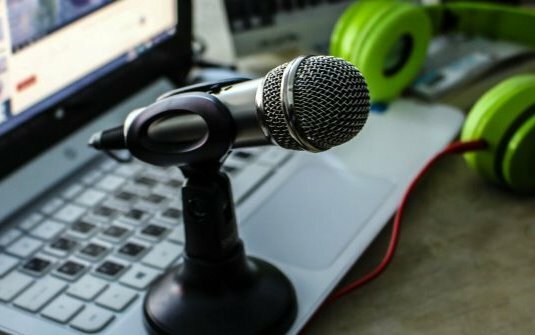 We’ve shown you a simple way to do this if you have a microphone as well, and although it is obvious and rather unorthodox, it’s still a go-to solution if you’re unable to download software or use any of the other methods we’ve discussed. The quality of the audio transmitted via your mic input is entirely correlated to the method you decide to use. 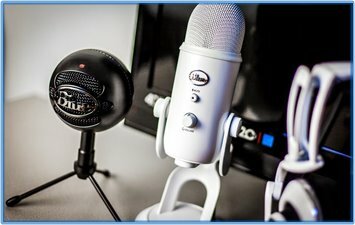 If you place an audio device next to your mic, instead of using specialized software, the quality will naturally end up being very poor on the receiving end. You’ll also need to keep in mind that transmitting music through your mic could be annoying to other people, depending on what you decide to do with the sound. If you enter an online forum or if you use it to reproduce music on game lobbies, people might end up muting you out of desperation. We recommend avoiding doing things like this to stay out of trouble. Not everyone shares the same music taste! You should also keep in mind that audio quality is very important. Try these methods with the best mp3’s that you have available, and if you’re going to play simple sounds, be sure that none of them are too loud and that they can be heard quite well. Oh! And one last thing… These methods have been proved to work with most versions of Windows. Although some might be useful for Apple devices, we haven’t tried them on a Mac yet. If you do, let us know in the comments below! There are many different approaches that you can take if you want to turn your mic input into a music transmitter. You’ll have to select which method works best for you after evaluating each option. Not every piece of software is free, and if you want to save up some cash on trivial stuff like this… You might want to take a more unorthodox approach. In any case, all these methods work to perfection. If you’re having any troubles, share your issues with the community or take a quick visit to any tech-savvy forum. You’ll surely find help in there! Isaac Atia is the Founder of 10BestRanked - he's passionate about sports like soccer, reviewing tech products/gadgets, staying fit & healthy, and producing the best resource for any topic he reviews.